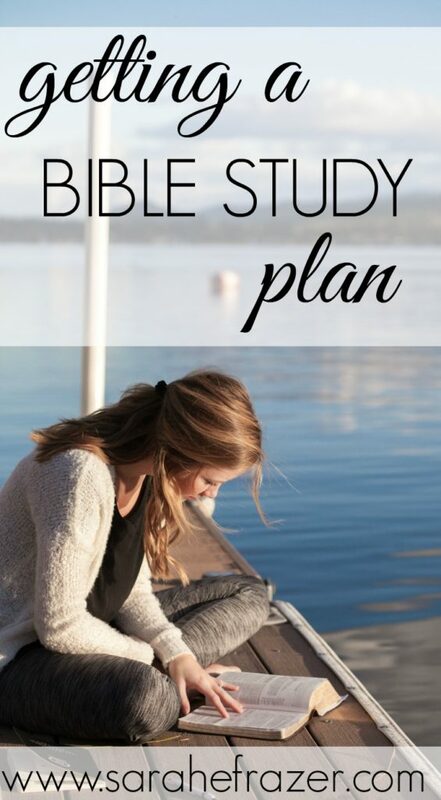 When it came to Bible study, I didn’t just start reading my Bible and then all of a sudden – I have it all figured out! I needed someone to guide me through how to study the Bible. There are as many teachers as there are methods for how to study the Bible. Picking the right one can be so hard. Some methods are good for a season, but like me, I have to have a plan for when life is CRAZY and I don’t have much time to study. One of the most AMAZING courses I have EVER seen in all of the Internet land is one by Arabah Joy. If you’ve followed me on my blog for awhile you know I love all of her stuff. However, I have some really exciting news about her course. 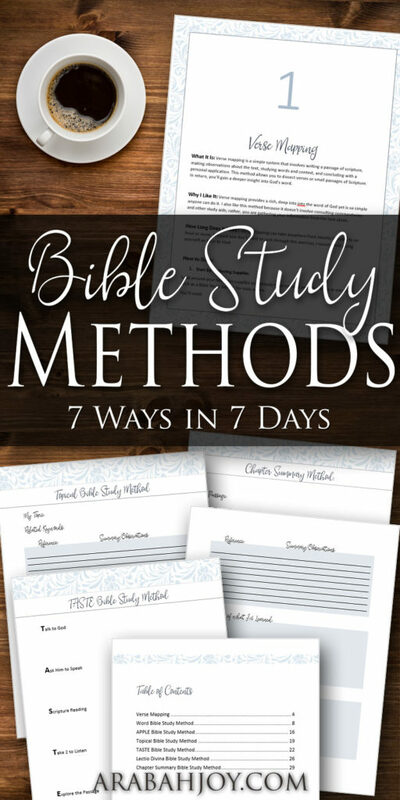 In her Bible Study Methods: 7 Ways in 7 Days, I found the perfect way to learn various ways to study God’s Word! I’ve been studying God’s Word for many, many years. I have developed my own methods for reading and studying, but I LOVED her course! It showed me, step-by-step how read, and DIG DEEP into God’s Word. It is also GREAT for beginnings. If you have a friend, or if you yourself need help in knowing how to study God’s Word, I GUARANTEE you will find at least one method you can use – no matter where you are on your journey. 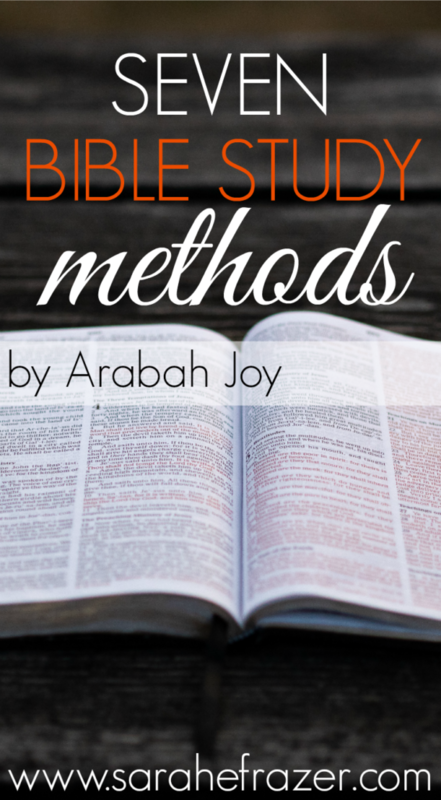 The beautiful thing about Arabah Joy is that she teaches you how to be your OWN Bible study teacher! You can really study God’s Word for yourself! YOU CAN GET IT NOW! Join me as I dedicate ten minutes a day to pray over a verse, answer some reflection questions, and write out a prayer for peace. « Do You Struggle With Finding God? Welcome! I invite you to walk alongside me as we study deep the words of God, even in our busy seasons. I’ve learned in every season we can find joy and contentment when we spend time in the Bible. Every day I’m learning to go into my quiet space and spend a little time with God in prayer. God is ready to pour into us. Let’s do this together!